As you already know, we had a great experience as a team at the 2013 Oktoberfest Run. 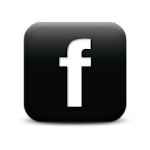 CLICK HERE to see the results. 10K CLICK for full results. 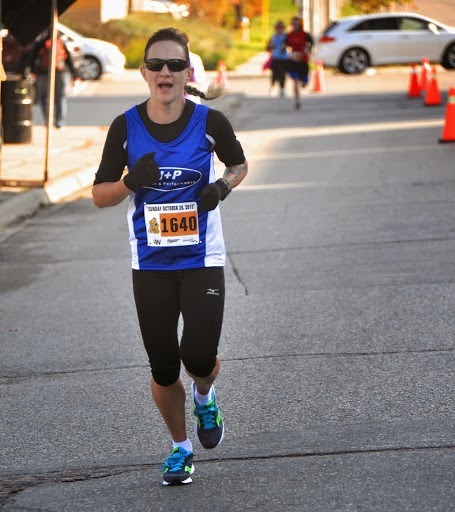 Val crushed the 10K, running 40:45, placing 3rd overall, 1st in her AG, and achieving a new PB as well! Adam Dixon ran a 42-something in the 10K, another PB! Helen Stubbs showed what consistent training can do- she came in at 47:20, a PB of 1.5 minutes! 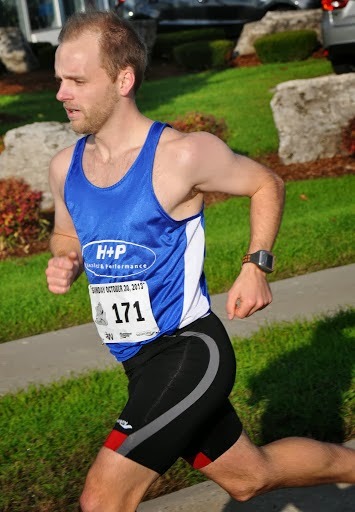 Dragan also reaped the benefits of a summer of consistent training- he finished in 45:36, also a PB of 1.5 minutes! 5K CLICK for full results. 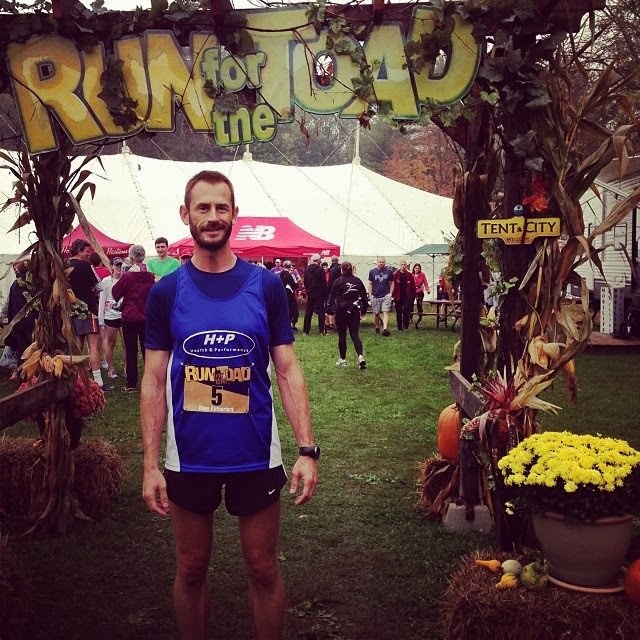 Coach Gill had a great race, coming in at 20:09, a new personal best by about 30s! 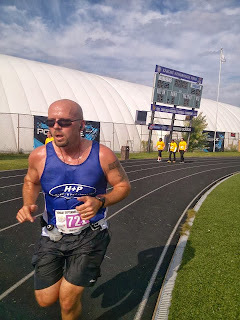 Dave crushed the 5K running 20:17, a new personal best! 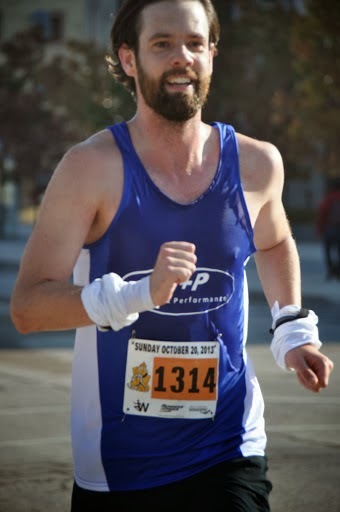 Kevin Post also PB'd coming in at 25:18! Candice battled through her injury, coming in at 25 minutes, and placing 2nd in her AG! Ross Willard had a excellent H+P debut, placing 6th in his AG! Lori battled hard, and ended up placing 4th in her category with a new PB! Laura Richards battled through a tough knee injury to finish 2nd in her category (also just coming off a huge PB from the day before). 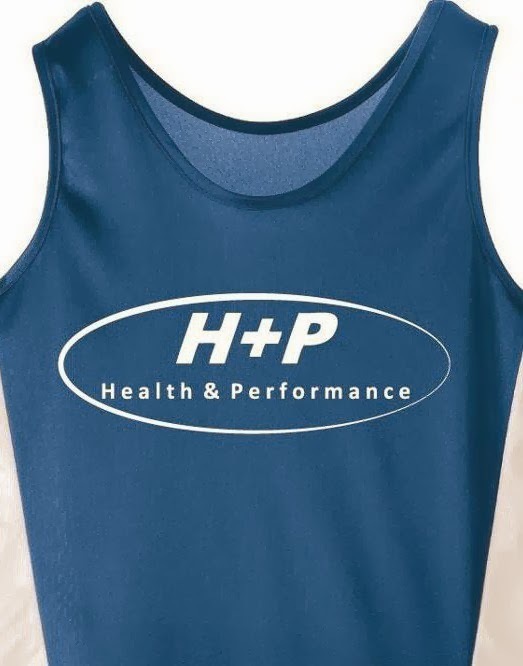 It wasn't just road racing this weekend, H+P had a number of runners ripping up the trails as well! Natalie Veras also had an excellent performance. With only 4 weeks of solid training, she managed to complete her first 50K on tough course, and tougher day. Great work! 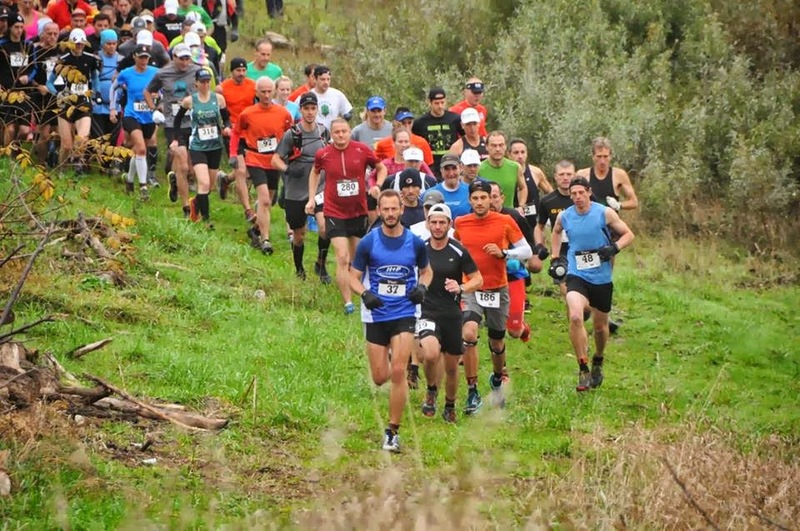 Mike Hewitson and Laura Richards decided to warm up for the Oktoberfest with a 5K night trail race in Collingwood the night before. Bad place for a PB, right? WRONG! Mike ran 23:56, and Laura ran 25:25- new personal bests for both of them! RESULTS. Nicole Shrigley and her team from KCI had a dominant performance- they won the championships with 16 points, the second place team coming in with 61 points! 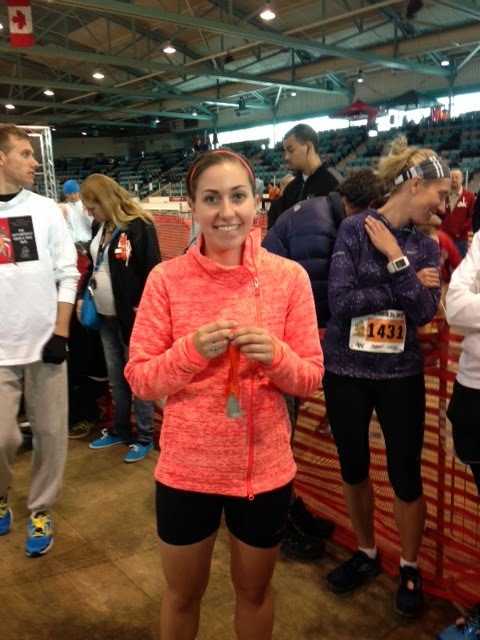 Nicole finished the 4K in under 20 minutes! 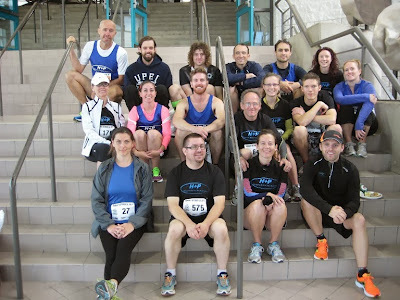 The team had an amazing time at the Oktoberfet 5 and 10K With over 20 athletes running for the team, it was great having each other there for support and to help chase some PB's. The 5K team ended up with an average time of 18:51, coming in first place! CLICK for results. 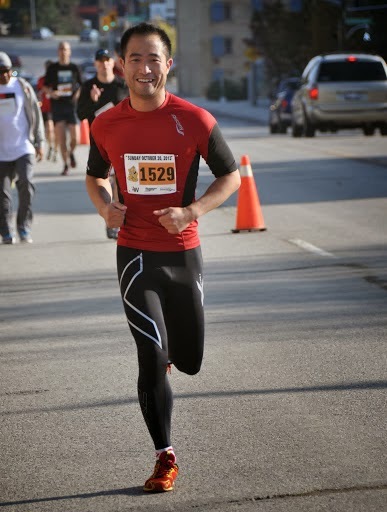 The 10K team had an average time of 38:39, also coming in first place! CLICK for results. On a side note, it is also great to see our top H+P female runners rounding out the top 3 and scoring points for both of our teams. Coach Gill placed 3rd in the 5K for us, running 20:11, and Val placed 3rd in the 10K for us, running 40:48 (both personal bests). Great work girls! First up, Jeremy Tracey had an excellent result in his second marathon. While he wanted more from his race, he did manage to take over 80 minutes (yes 80!) 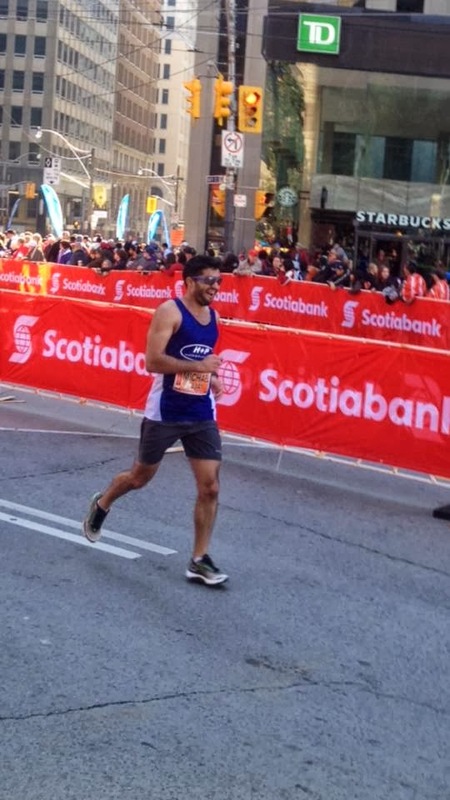 from his time from last year, coming in with a time of 4:06. 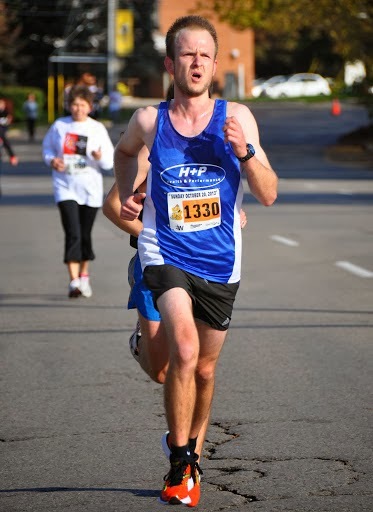 He also comfortably PB'd en route in the half marathon- a PB he just achieved in May of this year. Congrats! 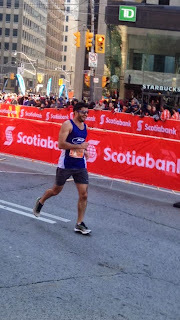 Mike Piazza had an awesome performance, coming in with a huge personal best of 3:08, achieving his goal of going sub- 3:10. He also managed to place in the top 30 in a very competitive AG. Great work Mike! Finally, a HUGE congrats goes to Susan Ludwig. She was part of our beginner run group last year. When we first started, she struggled with running for 1 minute, and walking for five. 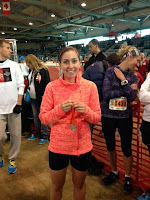 With a year of hard training, she managed to work up to running the marathon yesterday in a very respectable time. 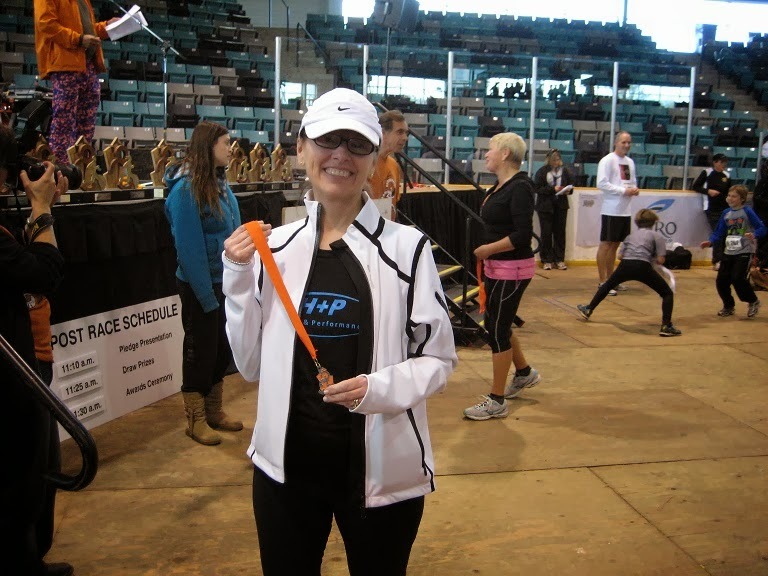 On top of this, Susan was inspired to race in order to raise money for Lupus research- a cause very close to her heart. In the end, she doubled her original goal, raising over $1000. Congrats Susan! Just one race for the team this weekend- The Run for the Toad. 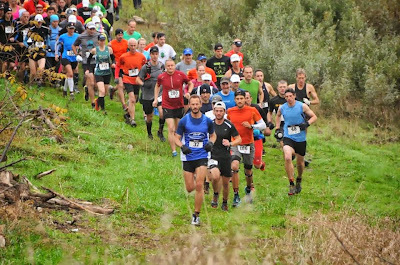 Graham Dunn had great 50K, throwing down 4 consistent loops to help him finish in 4:40, placing 32nd overall and 7th in his AG. Dave Rutherford came into the race without really preparing, and just planning on having fun and seeing what happens. Despite not having the proper preparation, he still managed to run over 43K (only stopping when it was no longer enjoyable) and put in 3 speedy loops in around the hour mark. In the 25K, Gill wanted to test her abilities to run 5mins/K pace on tougher-than-normal terrain. WELL, she did just that: putting two loops together in 1:02, averaging exactly 5mins/K. This was good enough for 4th in her AG! 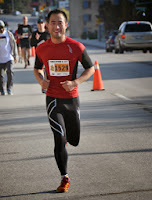 Craig also competed in the 25K. He posted two loops in under 1 hour, bringing it home in 1:56 and 6th place in his AG! 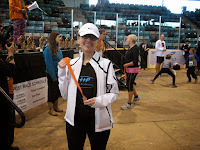 Linda had a great 1st Toad- she came in under 2:30, and placed 9th in her AG- nice job!